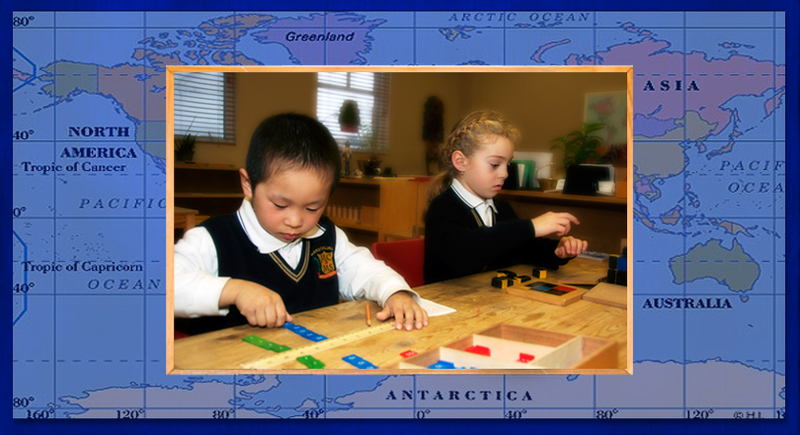 The journey of each child that attends Maple Children’s Montessori School is governed by the revolutionary approach to education established by the works of Maria Montessori. It is through the enriched program within our school that enables every child to develop and maintain value and esteem for self, peers as well as their surrounding community. Mirroring the teachings outlined by the Montessori Method, our school also believes that children learn best by doing and not by inertly accepting the ideas of others and the prior knowledge that has been exposed to them. The faculty at Maple Children’s Montessori School is dedicated to ensuring each child exercises his/her mental, emotional, physical and social potential to the highest regard. The educational cycle of instruction and learning presents challenges uniquely created to suit each child individually in order to progress to a level that fully illustrates his/her capabilities. Each academic day provides an opportunity for the child to be introduced to a new task with the guidance and patience expressed by our educators. The activities presented assist in combining the child’s scholastic ability along with their innate creativity which demonstrates the multitude of talent that is exceptionally given to each child. It is our vision that the union of parents and the educational institution sets the foundation for the child as a future contributor to society who approaches responsibility with the utmost respect and maturity.